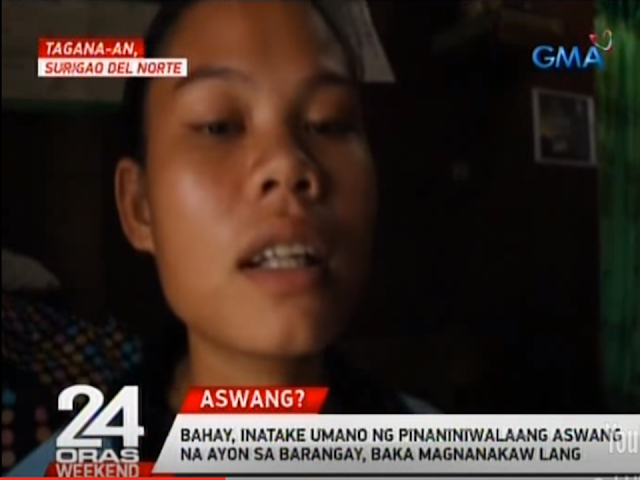 An intrusion of a "mysterious creature" believed to be a popular Filipino folklore creature "aswang" in a house where a pregnant woman lives has caused panic among the residents of Brgy. Himamaog, Tagana-an, Surigao del Norte. In a report, residents narrate that a pregnant woman in barangay Himamaog said that something or someone dark with red glaring eyes suddenly entered their house while they were sleeping. The "thing' smells foul and fishy. The unidentified creature immediately left when they woke up and left everyone unharmed. The news, however, developed fear among the residents. 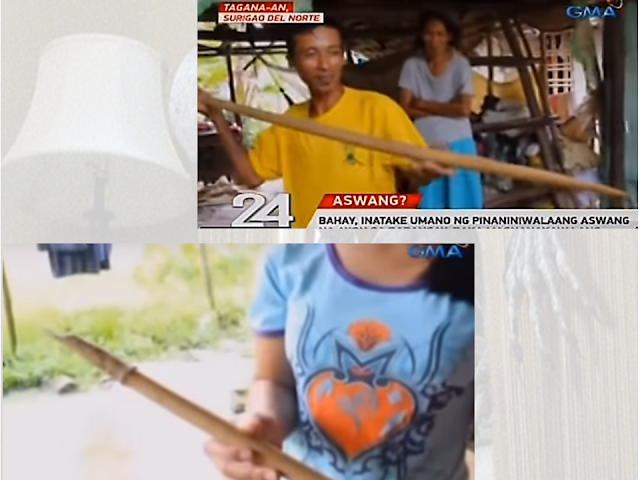 They made pointed bamboo spears to be used against the alleged "aswang". 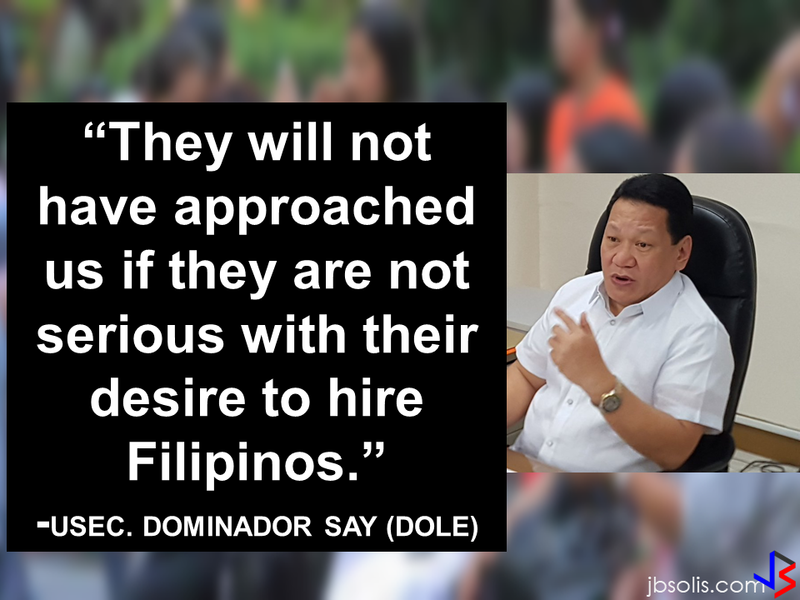 However, the barangay chairman said that there is no such creature in the area and it may be most likely thieves and it's just the way they are using to victimized the residents. On February this year, another alleged "aswang" attack has been reported by RMN Ilo-ilo on their social media page with pictures showing the ravages caused by the said creature. 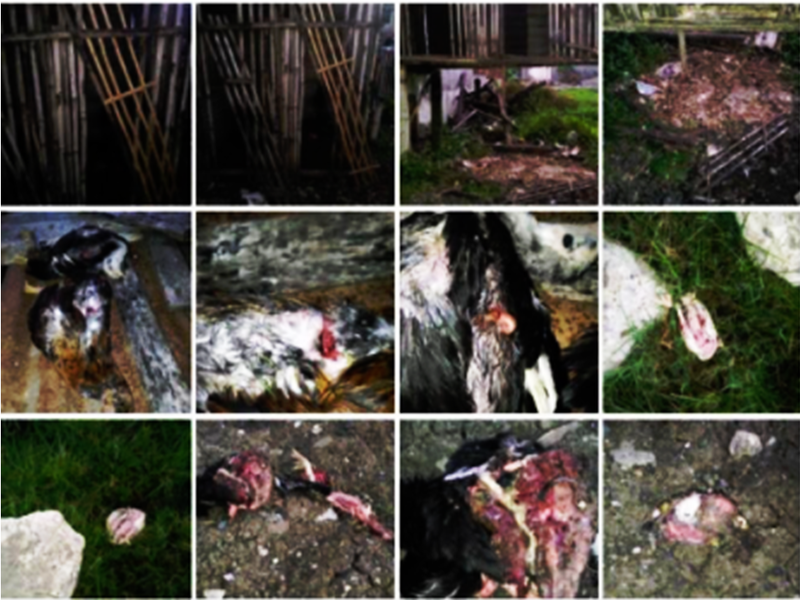 They allegedly saw a man with red glaring eyes attacking the chickens. A total of 7 chickens were brutally torn apart by the creature. 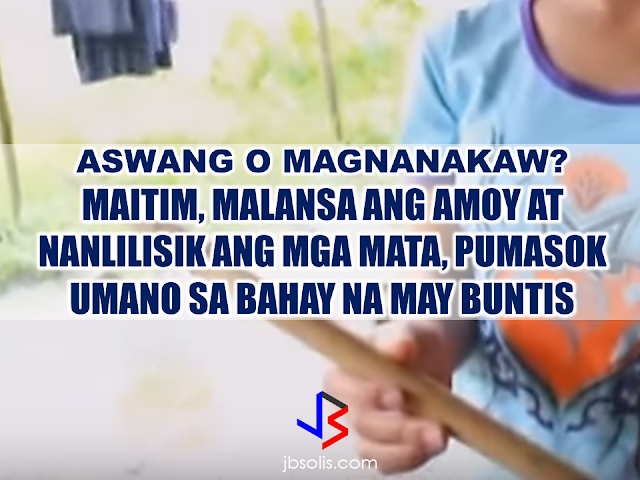 A lot of similar stories are circulating in different parts of the country since time immemorial but the truth about "aswang" is yet to be proven whether it is true or myth. In this modern age, people only believe what they see with their own eyes or what is actually caught on a video. The existence of these creatures will remain a mystery until enough proof of its existence comes out. "She became restless.She disappears while we are asleep," Totoy said. Totoy also narrated that Azon's attention can be easily caught by the sight of pregnant women. Almost every night, his Ate Azon disappears.Until one night, he witnessed a horrible occurrence with his own eyes. "She got up from our bed, went out of the door and went through to a nearby tree, it was dark, she was walking, then she turned into a huge dog." "When she returned home, she was covered in blood, filthy clothes and staring at a blank.After a few hours, she will recognize me and be shocked when she realized that she has blood all over her body.I can't tell if it's human or animal blood. 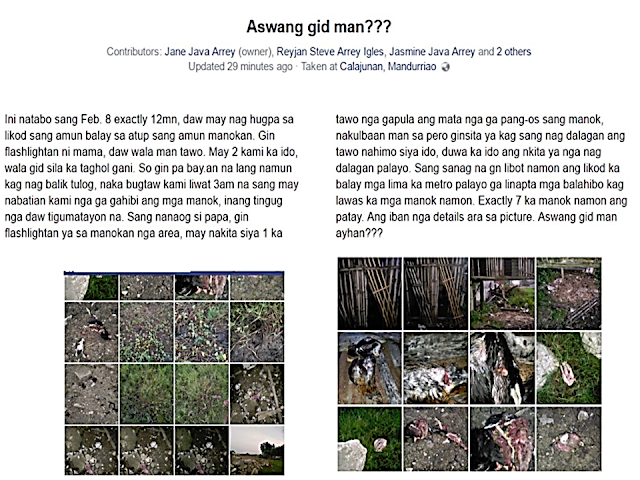 It's fishy,", Totoy narrated.